This installment is part of a regular devotional series, “Deepening the Faith,” written by Gordon faculty and staff for the enrichment of the wider College community. In echoes of the starlight and shadows of the moon. It’s my world you’re walking through. The sons of God, come into their own. I wonder if this verse, in this particular translation and song, with its vision of creation as a blessing from above, have shaped my scholarly life. As a geographer, my scholarly work has always come back to the essential theological questions raised in Romans 8: What is the connection between the fallen nature of humankind and this yearning of creation to be set free? And what is God’s hope for the entirety of creation along with humanity? In this era, when we face the global challenge of climate change with its many impacts, particularly on the poor of the developing world and the creatures facing changing habitats, I come back to this Scripture which reminds me to join God in his work at sustaining us, the creation. Meanwhile I await that day when all humanity and all of creation shall come into their fullness. Shalom—being at peace with God, with each other and with the creation. I continue to stand on tiptoe. Dr. Janel Curry has served as provost at Gordon College since the fall of 2012. 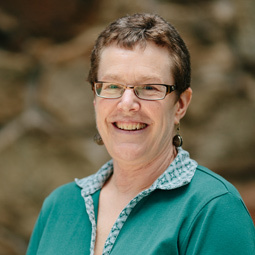 She holds a Ph.D. in Geography from the University of Minnesota and came to Gordon from Calvin College in Grand Rapids, Michigan, where she served as both a faculty member and an administrator for 16 years. The topics of her research and publications draw on her international experience and range from issues of environmental management to the liberal arts in a global context. Her most recent book, Reading Hong Kong, Reading Ourselves, addresses the topic of cross-cultural learning, which is built upon her assignment working as a Fulbright Scholar in Hong Kong in 2010 and as a visiting scholar in 2012. Janel has provided leadership in discussions related to women in leadership within the evangelical community through her research on the Women in Leadership project, essays and publications, and workshops focused on promoting best practices.